Simple, basic and minimal, yet so functional. 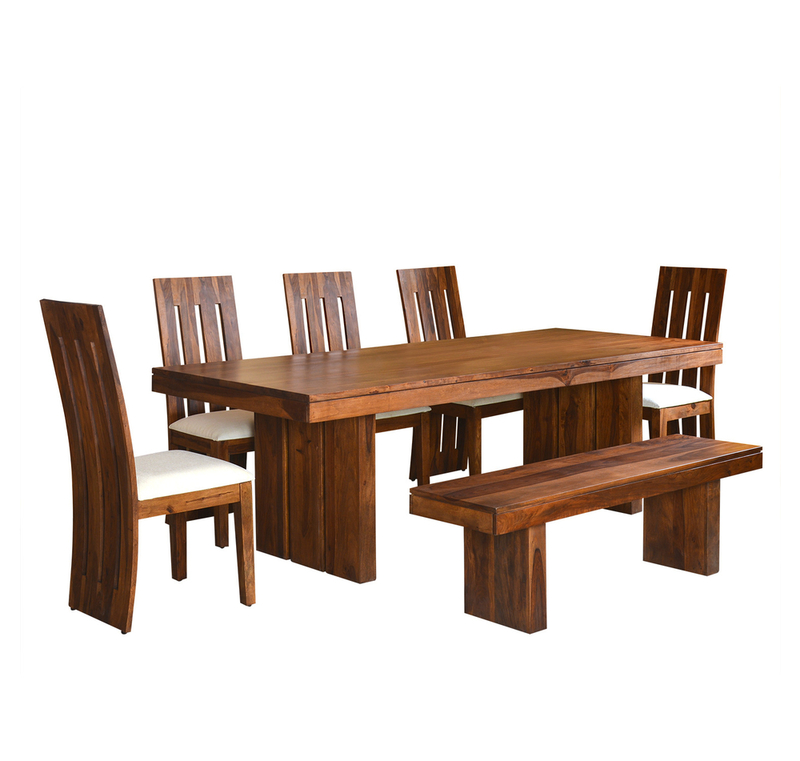 The Eight Seater Dining Set With Bench is a must-have in all urban homes. Crafted from Sheesham wood, it is enhanced with fabric upholstery of matching the natural colour tone. Make it a part of the dining table, and when guests arrive it can be easily transported to the living room or the balcony to make extra seating arrangement. Easy to move around and easy to blend with different kinds of décor styles, the bench has become one of the most essential pieces of furniture for any home. Regular yet Antique Design for your Royal Home.Bench can be arranged underneath the table/ anywhere in the room when not in use which makes it Ideal Space Saver.Ideal Substitute for chairs when there is space constraint.